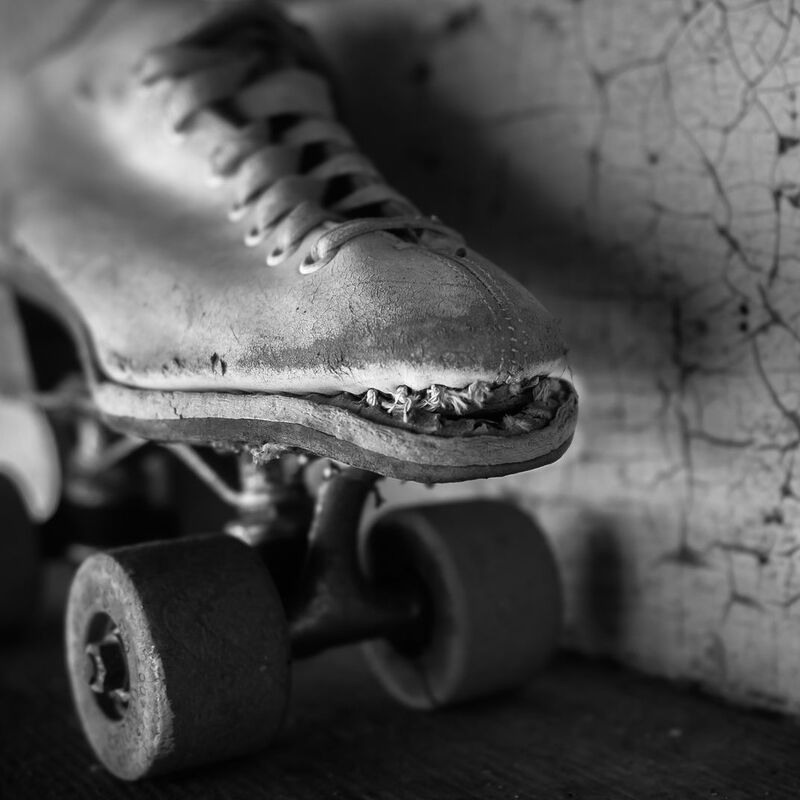 When the frayed stitches of an old roller-skate look like menacing teeth, take a picture of them. This antique roller skate was sitting on a shelf outside an old stagecoach stop that had been closed for many years. Its owners were selling the contents.